Berkeley 71-Inch Vanity Cabinet with Mirror in Dark Chestnut If your bathroom's asking you for a facelift, the Berkeley is a worthy choice. At once elegant, classic and contemporary, the Berkeley vanity lends an air of sophistication and charm to any bathroom, from a Soho penthouse to a rustic country home. Carefully hand built to last for decades and finished in Dark Chestnut or White, this solid wood vanity has counter options to compete the timeless look. Available in multiple sizes and finishes. 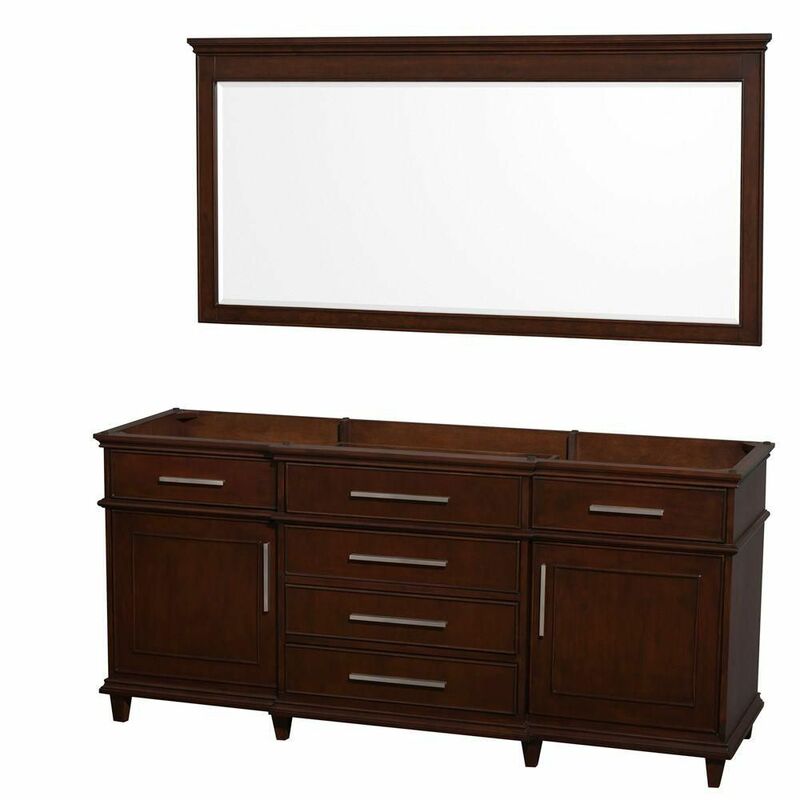 Berkeley 71-Inch Vanity Cabinet with Mirror in Dark Chestnut is rated 5.0 out of 5 by 5.